Water mixable oil paint is the new kid on the block in terms of traditional art making media. What is it? Where does it fit in amongst the paints more commonly used? How does it work? We’ll answer these questions and maybe a few more. A working concept of oil and acrylic paints will help the reader understand the properties of water mixable oil paint. If you have never painted before, this article will still help you decide if water-mixable-oil-paints are a suitable option for you. 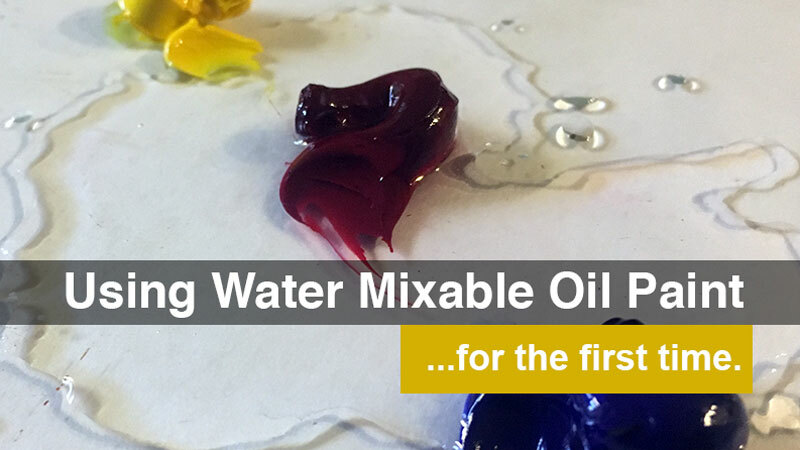 What is Water-Mixable Oil Paint? In short, water mixable oil paint is oil paint that has been modified to accept water as a solvent instead of, or in addition to, more volatile organic solvents such as mineral spirits and turpentine. One way to modify the paint is to change the binder (oil) on a molecular level so the oil itself is more hydrophilic. 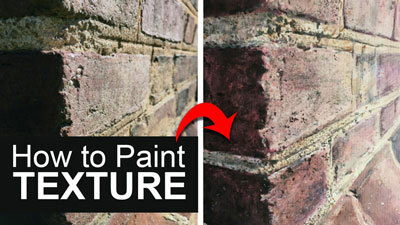 Another way to modify oil paint is to formulate a paint mixture that includes a surfactant of some sort. A surfactant is basically soap. 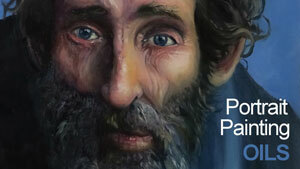 The paint featured in this article’s accompanying video is Winsor-Newton’s Artisan paint. It utilizes the latter method described above. How Does Water Mixable Oil Paint Compare to Other Artist Paints? Throughout the Middle Ages, Western artists used egg tempera paint. Egg tempera is water mixable but not as deep and rich in color as oil paint. Oil paint came into being during the early Renaissance, giving artists an opportunity to create a wider range of value and intensity, resulting in more realistic representations. From that time onward, oil paint has been the “king of artist’s paints”. Today, watercolor and acrylic paint are also popular paint media. Filippo Lippi. “Seven Saints”. Egg tempera on wood. 1448-1450. 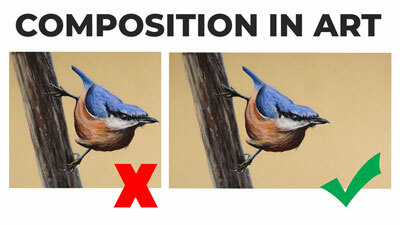 Watercolor is entirely transparent and does not compare to oil paints. Acrylic paint, developed in the mid 20th century, was meant as an alternative to oil paint. 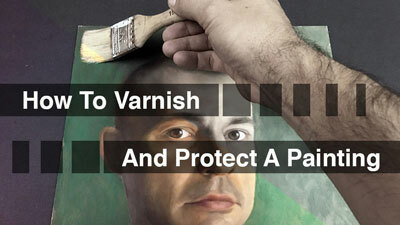 Like oil paint, acrylic paint is opaque but can be thinned to create translucent glazes. The similarities end there. Oil paint dries slowly. Acrylic paint dries fast. Oil paint is thick and buttery. Acrylic paint is less dense. Oil paint generally looks the same whether wet or dry. Acrylic paint shrinks a bit when it dries, causing impasto strokes to flatten out. After making a painting with water mixable oil paint for the first time, I believe that it is the best alternative to traditional oil paint. To be sure, acrylic paint has some special properties that make it a worthy paint medium unto itself. However, if one is looking for a traditional oil paint substitute, then water mixable oil paint is the way to go. The techniques used to create this article’s accompanying image include direct painting, wet-into-wet, scumbling and glazing. I found that water mixable oil paint worked and felt like traditional oil paint from start to finish. Some oil painters use a medium to control the viscosity of their paints. Water mixable mediums are available in addition to the paints. Both a medium and water will thin water mixable oil paint. Water mixable oil paint also mixes well with traditional oil paints and mediums, but the water solubility of the paint is reduced as a greater ratio of traditional materials are introduced. Looking for lessons that feature water mixable oils? The pros and cons of using water mixable oil paint are subjective. The characteristics below are a determining factor for some artists. Less fumes – I have never been bothered by the smells and fumes associated with traditional oil paint. Quite the opposite in fact. However, many people are either highly sensitive to the fumes of traditional solvents or they don’t have a place to paint with adequate ventilation. In either case, water mixable oil paint is a great alternative. Water mixable oil paint is particularly appropriate to use in a class/school setting. When an entire room full of painters have open jars of turpentine and traditional mediums, the fumes are overpowering. 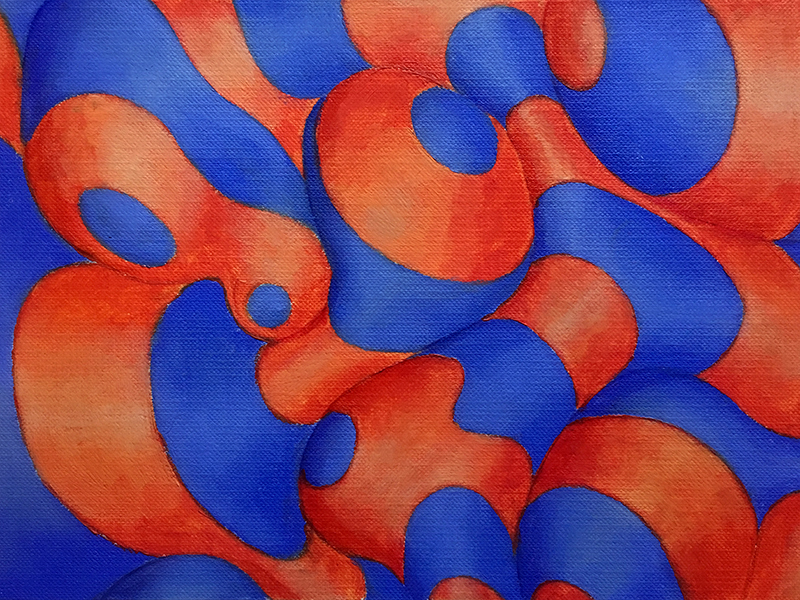 Dries Slowly – This characteristic of water mixable oil paint is the most subjective. Artists that prefer to use many layers in a single painting session want paint that dries quickly. These artists may find that they prefer acrylics. Generally speaking, water mixable oil paint is dry to the touch in about 4-8 hours and is fully dry in about two days depending on thickness, temperature and humidity. For artists that feel like acrylics dry too quickly and oil paint dries too slowly, water mixable oil paint is a dream come true. Cleans-up with water – Perhaps the most attractive feature of water mixable oil paint is that it cleans up with only water. This is advantageous for reasons other than fume management. Painting on location – Since the Impressionist period, oil painters have enjoyed painting outside, often referred to as plein air painting. Carrying oil painting materials up trails and over hills is cumbersome. By not having to carry special solvents the artist can lighten his or her load. Just one container can carry the water needed for painting, cleaning brushes and even drinking. Water is everywhere, often available in the field, lightening the load even more. Disposal of chemicals – Not all artist follow best practices when it comes to chemical disposal. Waste chemicals should be collected in special chemical containers, then taken to designated disposal centers. Chemically soiled rags should be disposed of at those same facilities. Medium to large cities have such facilities but a rural location may not. Transporting chemical waste to the proper disposal facilities is time consuming. Additionally, rags saturated in traditional solvents present a fire hazard. Water is a safer, time saving alternative in this respect. Brush preservation – Strong solvents like mineral spirits and turpentine are harder on brushes than water. For that reason, many artists wash their oil paint brushed in a traditional solvent first, then have to wash away the solvent with soap and water to keep the bristles supple. Time and money – Water from the tap is nearly free, unlike turpentine. Some specialty solvents found exclusively in art stores are even more expensive. The most obvious draw back to water mixable oil paint is speculative and may prove to be a non-issue. Will water mixable oil paint stand the test of time? Who knows for certain? Traditional oil paintings from four hundred years ago still retain their aesthetic qualities. Most problems with cracking are usually a result of an artist’s technique. Acrylic paint is a plastic, which is extremely durable. The oldest acrylic paintings have only been around since the mid-twentieth century but they still look as strong as the day they were painted. Only time will prove water mixable if oil paint is durable or not. I have no reason to doubt that water mixable oil paint is not any less permanent than traditional oils. Why not give water mixable oil paint a try? If, after purchasing water mixable oil paint, you decide that thinning them out with water is not for you, just use them with your traditional solvents and paint and you’ve lost nothing while gaining experience along the way.